Lisa is using Smore newsletters to spread the word online. 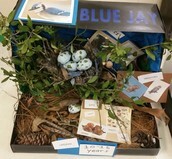 We are very excited to present our first eEagle's Nest to you. By providing the Eagle's Nest in this new electronic version we are able to publish it more frequently. Please click on pictures to enlarge. Science, Technology, Engineering, the Arts and Math have been our focus this school year. 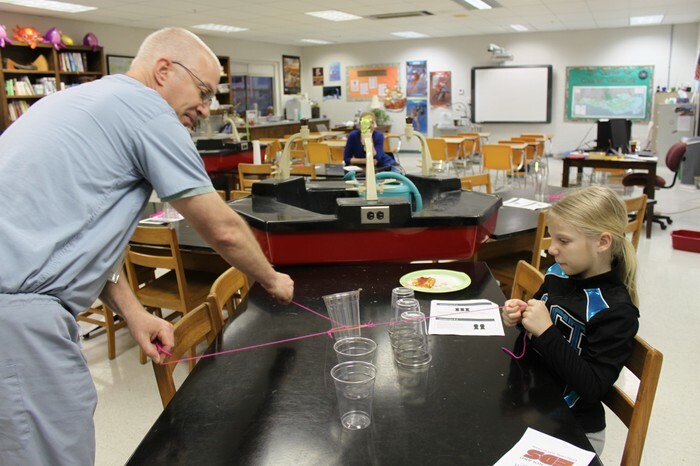 Our families enjoyed a wonderful evening of fun-filled activities on STEAM Family Night. Activities included Catapult Painting, Egg Drop Challenge, Leprechaun Trapping, an interactive music lesson with "Lady Chops" and so much more. 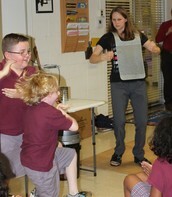 Our children loved having their parents involved in these projects with them. After learning about six different animal classes, each of our first graders chose an animal to research. They used this information to write their first research paper. 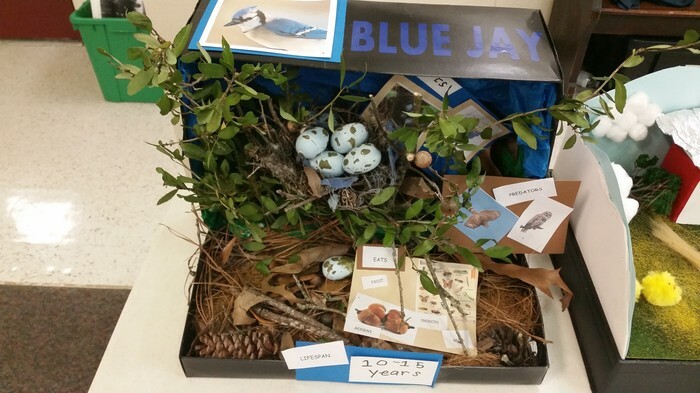 They typed their research paper in a MS Word document and used their knowledge to create a diorama or poster of their animal and its habitat. 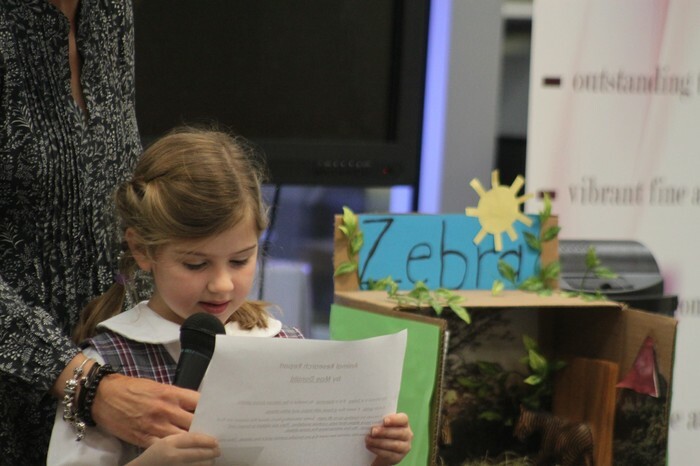 Using their public speaking skills, our first graders presented their projects to their classmates and families. 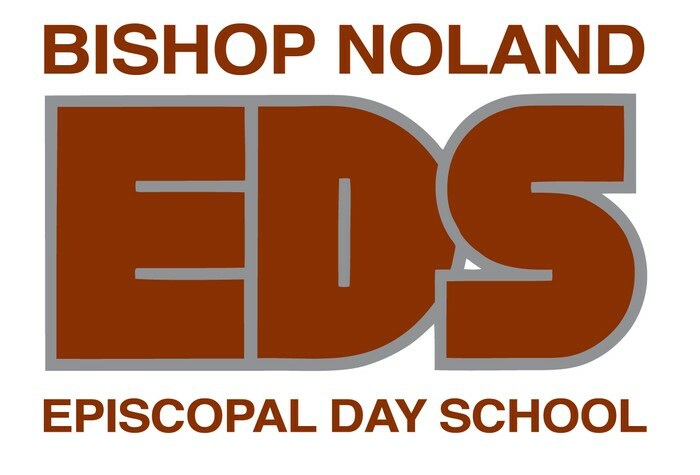 Bishop Noland Episcopal Day School Librarian for 16 years. As a new librarian at EDS, Paula started a monthly meeting which she hosted all year for other librarians in the area. They met to discuss similar interests and to exchange ideas. 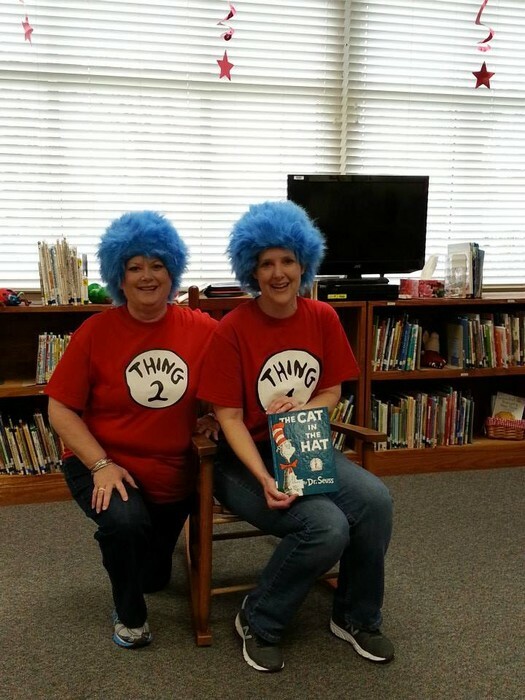 She has been actively working with the Louisiana Library Association (LLA) since 2000. 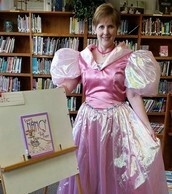 Through her affiliation with LLA, she has also become involved in other library associations. This year Paula has served as president of LLA. This position has encompassed working with the Louisiana Legislators, planning the state conference for 540 attendees and overseeing work on a Virtual Library. Most recently she has prepared a plan of action for the LLA Disaster Relief Fund. By serving others, Paula has realized the benefits have been her own professional and personal growth. Tasks like public speaking and negotiating through conflict are much easier now. 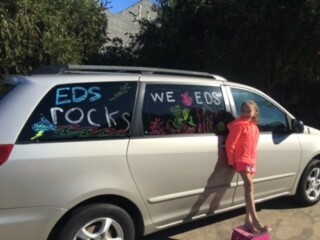 The Library Club at EDS was started by Paula when she first arrived. It is one of the most active clubs on campus. Students and the Executive Committee meet at their lunch time to plan and work on various activities. 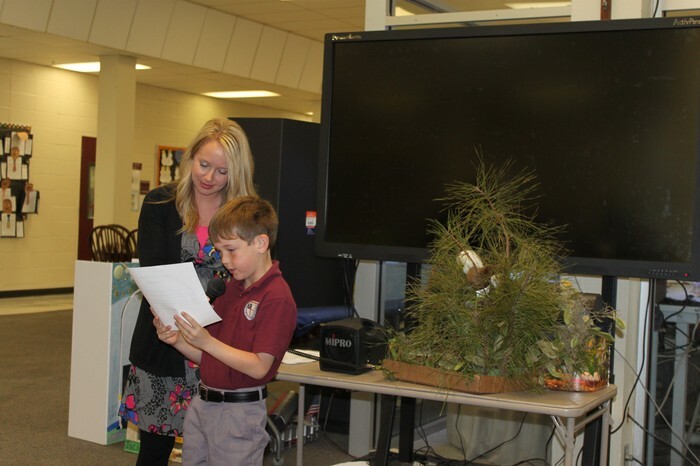 The Library Club has always sponsored a school-wide collection of food for the needy. This year each month a different group of Library Club members have worked the Faith and Friends Food Pantry to organize and hand out food to those who come. 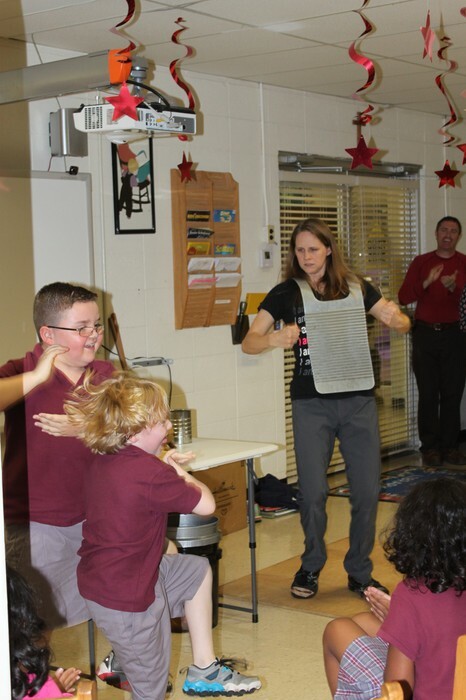 The Library Club won the state award for the best Library Club accumulating points in the Costume Contest, the Dance Contest, the Electronic Scrapbook and the Bulletin Board contest. We are certainly proud of their accomplishments! Four years ago Paula started a summer research camp for middle school students. Students who attend can learn how to do the work necessary for a research paper on a pre-approved science and social studies project. Students learn to find original sources, excerpt their reading and transpose into notes. Then they work to write their findings in MLA style to present their project in a very scholarly way. Paula also teaches a research class during the school year to sixth graders. "As I think about what I do as a librarian, my goal is to make sure the 'library is the heart of the school'. My objective is that every student walks away feeling Connected, Inspired, and Transformed: connected to resources and information, inspired to be creative and to explore, and transformed by taking the knowledge gained and becoming advocates." 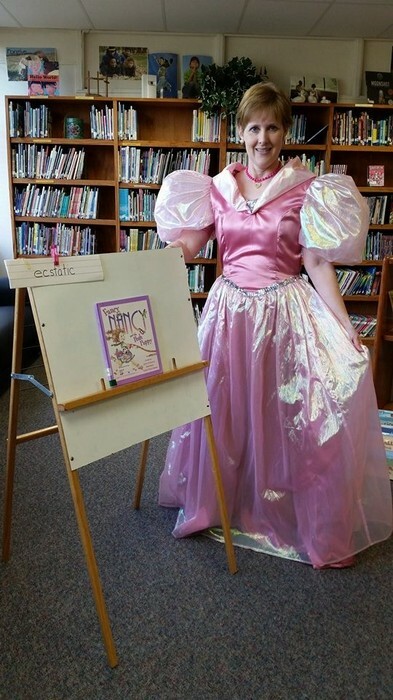 It is a long standing tradition for the kindergartners at EDS to participate in Fancy Nancy Day. Our students look dapper in their Sunday best as we serve punch and snacks with pinkies up! Mrs. Clemmons looks exquisite as well! 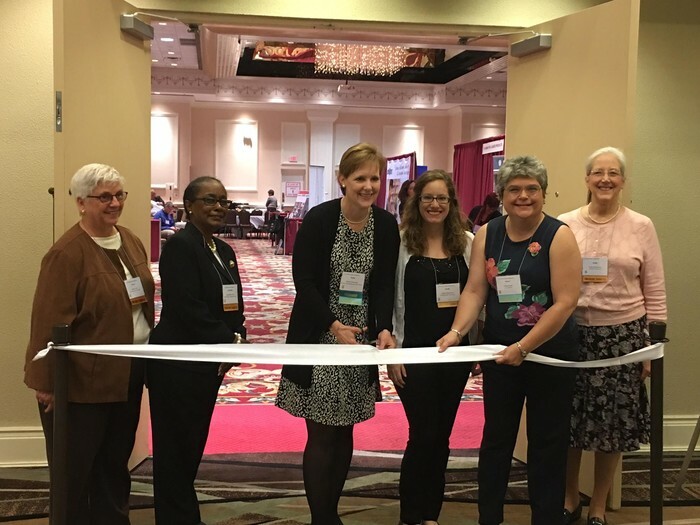 Ribbon cutting ceremony for the 2016 conference. 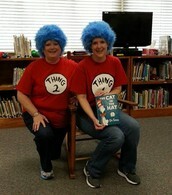 Always in a playful spirit, Mrs. Clemmons never disappoints with her costumes. Many positive things happened during the 2015 football season. We welcomed a new head coach to our staff, Ernest Celeste, who brought a ton of excitement into the program. We had a very large number of young men playing this year, and we hope to increase that number by adding a football camp to our summer agenda. 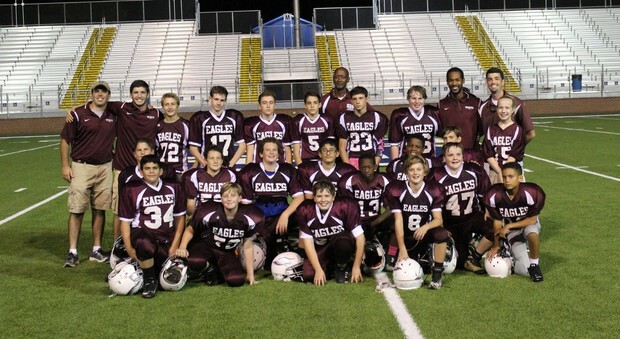 The assistant coaches for our EDS Eagle football team were Bruce Hardy, and John and Sal Ange. The football team worked extremely hard this season and expects to have a very strong season next year with a large group of seventh graders returning to lead the team. We want to salute our eighth graders who are graduating this year, Matthew Fontenot, Jordan Lundy, Cameron Currie, Cade Bruney and William Condos. Next year should be one to remember and we look forward to see the incoming athletes compete. 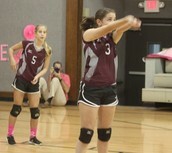 Our girls had a great volleyball season again this year. Coach Currie and Coach Williams worked hard to keep the teams fired up for every match. 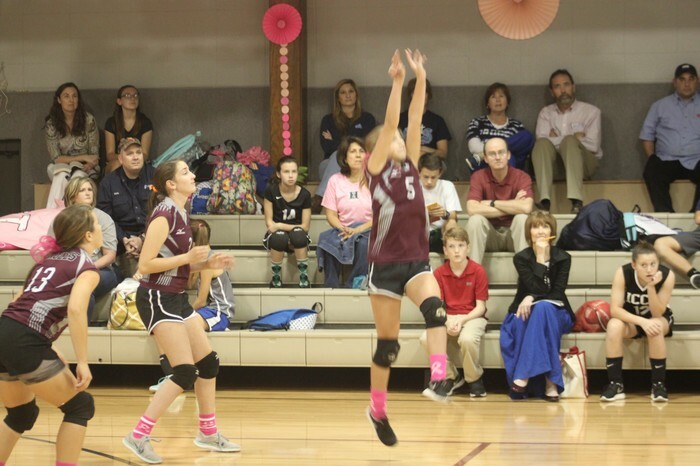 The eighth grade team played in two tournaments: ICCS and S. J. Welsh. 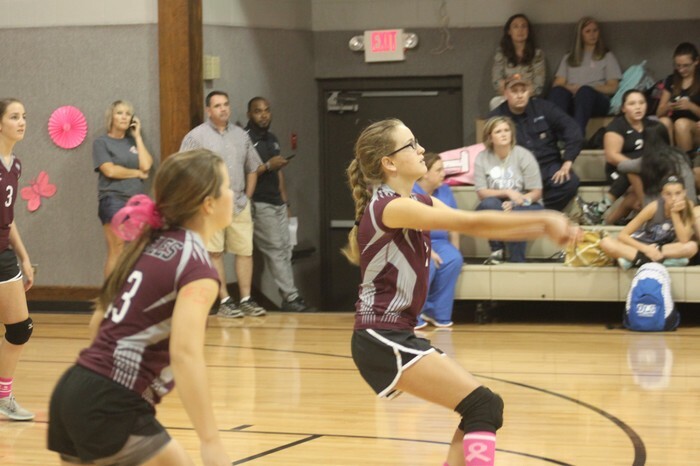 The seventh grade team played in the ICCS tournament and placed 2nd. 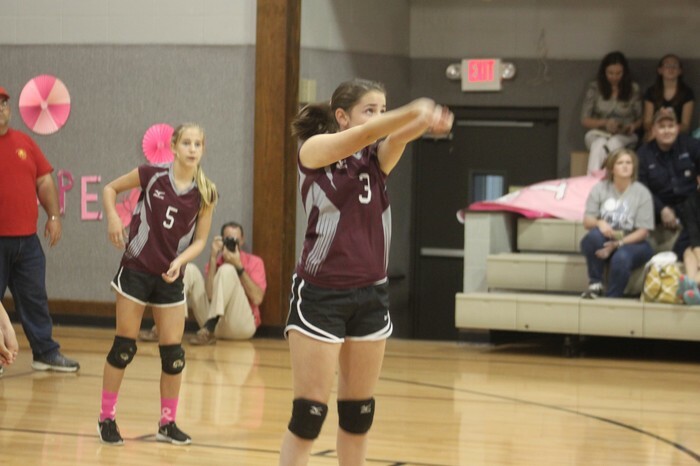 The seventh grade team also placed 3rd in the CCAL tournament. Overall records for the teams were: 7th grade, 2-3; 8th grade, 3-2. Thank you to our eighth graders who will be leaving us this year: Chloe, Camel, Samoan Combre, Helene Girard, Christi Kruger, Emma Ogea, and Hannah Shimer. We are so incredibly proud of our third, fourth, and fifth grade math teams. 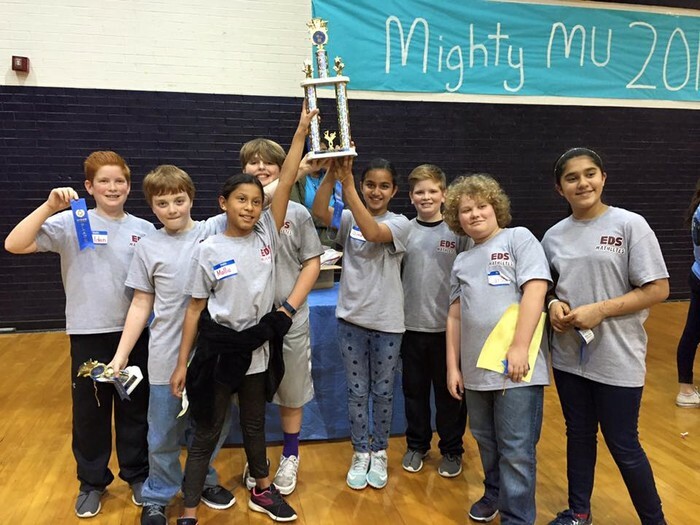 It was nearly a clean sweep for Bishop Noland Episcopal Day School at the Mighty Mu Math Tournament hosted by Barbe High School. 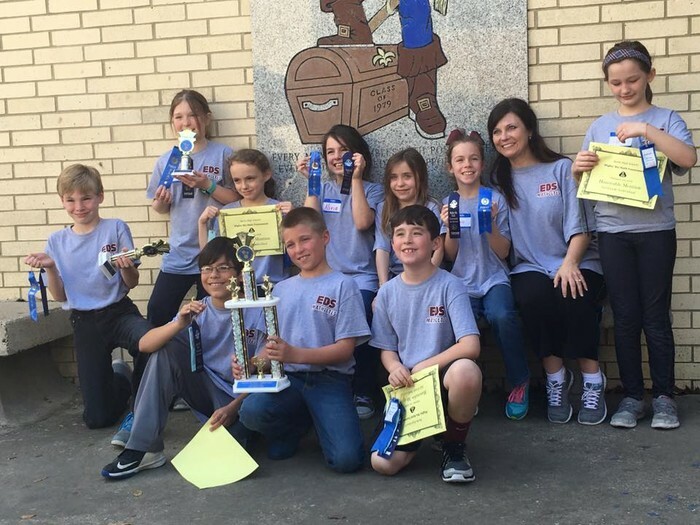 Competing against other schools in SWLA, our teams were at the top with the third and fifth grade teams placing 1st and the fourth grade team placing 2nd. We would also like to thank Ms. Caples, Mrs. Cannon, and Mrs. Kay for their dedication to our students. In the third grade individual competition Clara, Jace, Nicholas, and Chloe were awarded honorable mention; Abby won 3rd place and Isaac earned 1st place! 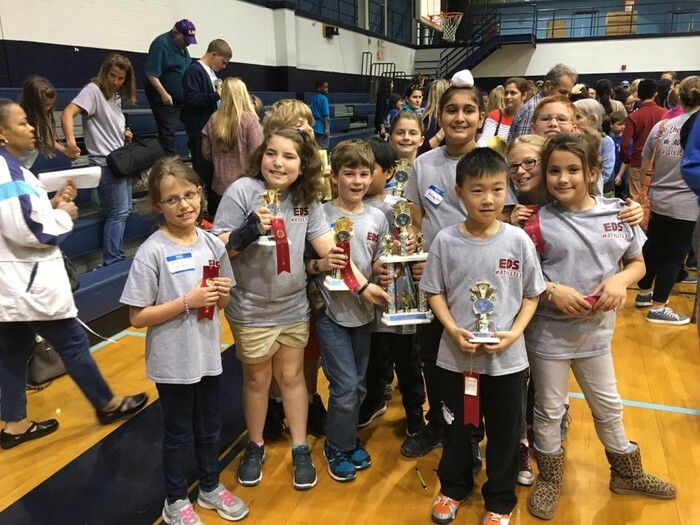 Eddie, Ella, and Sargun earned honorable mention in the fourth grade individual competition while Annie received 9th, Kevin, 6th, Jose 4th, and Kyle Turner earned 1st place! In the fifth grade individual competition Carson and Bennett were awarded honorable mention and Zachary earned 2nd place! 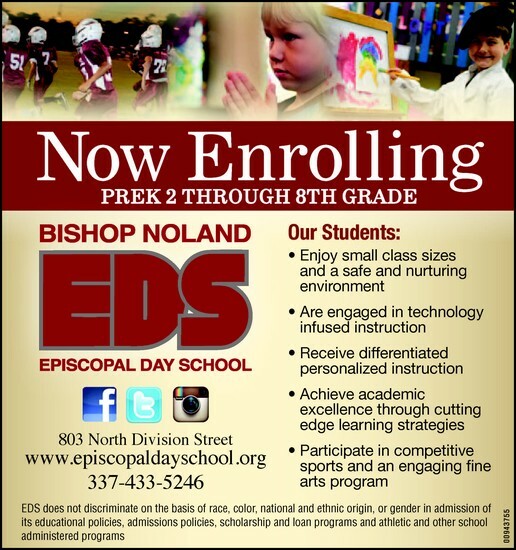 February 1st of each year marks the beginning of our enrollment season. This year we offered a chance to win registration fees for one student for the 2016-2017 school year. 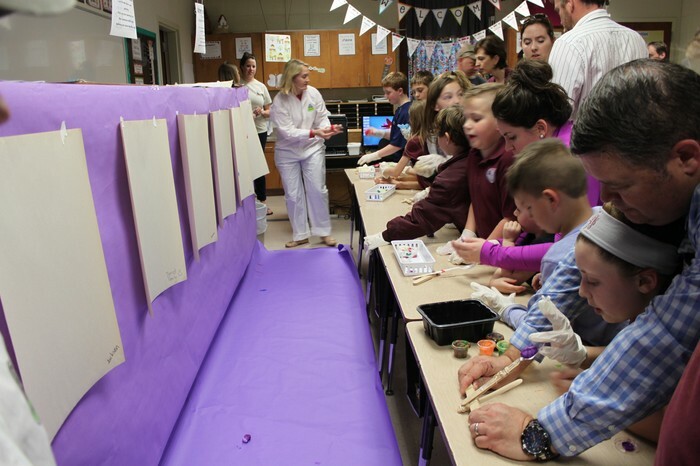 Families earned entries by re-registering on time, referring a friend, painting their car windows, attending Preview Night, and placing a "Now Enrolling" sign in their yards. It was a lot of fun! Congratulations to the Haese family for winning the $600! 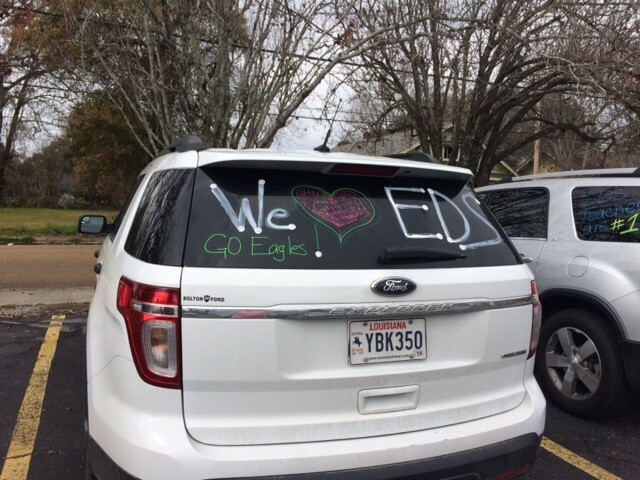 Our kids loved showing their Eagle spirit on their parents windows! Yard signs could be seen in nearly every neighborhood! Our staff even "bombed" the parking lot one afternoon and decorated multiple cars! Join us for our annual carnival. This year will feature karaoke with DJ Dave, Young Band Nation, jumpies, laser tag, game truck, petting zoo, carnival food, and much more! $25 all-day armbands available for purchase. Booth volunteers needed. 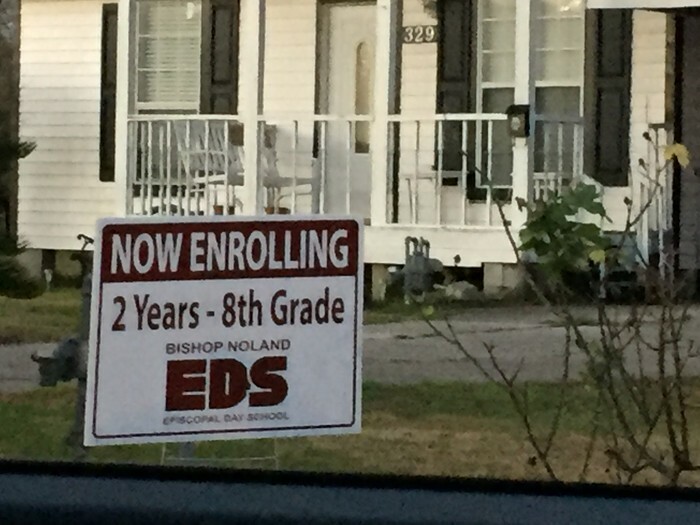 Call Laurie Ardoin at 337-433-5246 for additional information.